To say that this was the day that the wrestling world turned upside down would be an understatement. 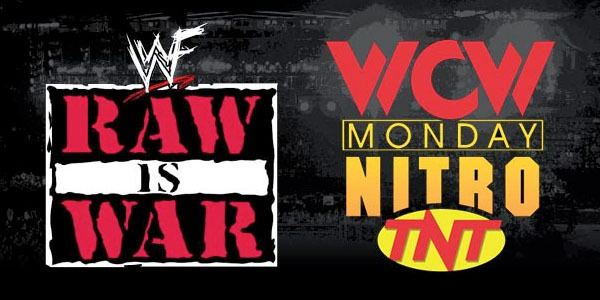 The Monday Night Wars, that had been going back and forth for years, had its winner seemingly decided on this day as both the WWF and WCW put on two huge shows together in an effort to win the ratings battle. In one corner, we had the WWF. Mankind had been feuding with the “Corporate Champion” The Rock and this lead to a no disqualification title match taking place in the main event of Monday Night RAW after Mankind threatened to break Vince’s son Shane’s arm. This was a taped show but the anticipation was building. In the other corner, we had WCW. Kevin Nash shocked the world at Starrcade by ending the undefeated streak of Goldberg and winning the WCW World title. Eight days later, the Wolfpack leader would defend the title against Goldberg in a rematch at Goldberg’s hometown in Atlanta. These two would collide LIVE on WCW Monday Nitro. Indeed, history would be made tonight. January 4th 1999 would see RAW and Nitro go head to head once again as WCW looked to regain the lead as the top dogs of professional wrestling. Eric Bischoff pulled out all of the big guns. Nitro was live and up against a pre-taped RAW. He knew the results and he knew he had to counter-book. He had to bring it tonight and he thought he had the perfect main event with a huge development in the long storyline between the two nWos and Goldberg. With what he was about to put on, there was no way he could lose to something like Mick Foley fighting for the championship right? 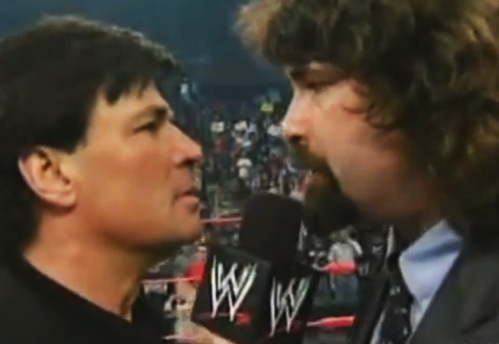 Mick Foley actually was a former WCW wrestler but was never really the top man in the company. Why would he? He made his name as a sucker for pain. He took risks that no man should ever take, including getting launched off the top of the “Hell in a Cell.” There was no chance in hell of this guy being a ratings draw right? He went over the plan for the night with everyone. 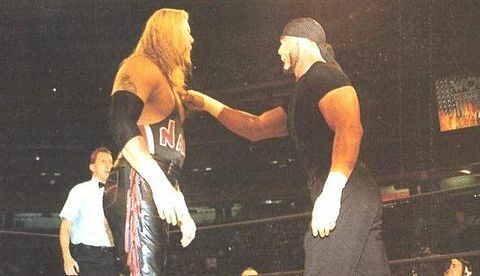 A number of top stars were notorious for backstage politicking, and the finish to this match showed the type of pull one Hollywood Hogan had as WCW’s top star. 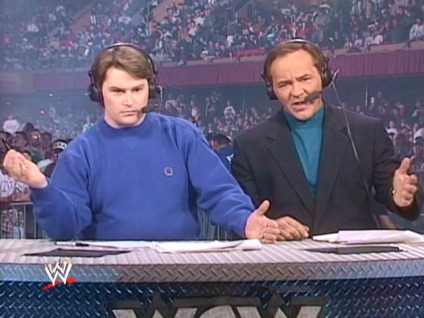 Bischoff let WCW announcer Tony Schiavone know what happened on Monday Night RAW. It’d become a new feature on Nitro for Tony to reveal the results of these pre-tapings for RAW which would theoretically make sure that the viewers wouldn’t change the channel to find out what happened on RAW. On Nitro, Goldberg’s title rematch was in jeopardy as he was arrested by the Atlanta police. This was a rematch from Starrcade of all events and it looks like those plans were changing. Kevin Nash suspected that nWo Hollywood leader Hollywood Hogan was responsible. This lead to the main event of the WCW World Title match being changed to Kevin Nash defending the WCW Title againsy Hollywood Hogan. Meanwhile on RAW, they are setting up the Mankind/Rock main event. Don’t worry folks. We got you covered. You don’t need to watch that old taped show now. 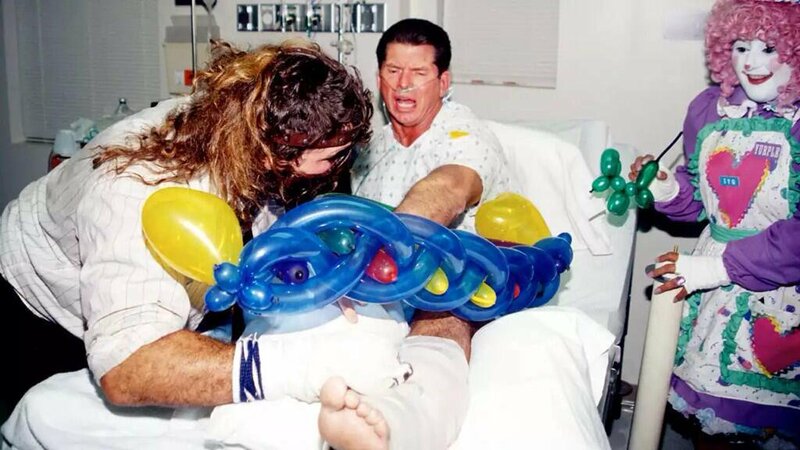 You don’t need to watch Mick Foley win the WWF title. Stick around for WCW Monday Nitro as we’ve got a WCW title match later tonight LIVE. Bischoff truly believed that this was HIS night. Then all of a sudden, Bischoff got very quiet on commentary. After Tony revealed what was going to happen on the other show, 600,000+ people changed the channels from the live edition of Nitro to this pre-taped edition of RAW. The WCW fans couldn’t believe what they had heard. Is this true? Did Mick Foley really win the WWF title? I have to go watch RAW to see. Rather than stick around for Kevin Nash’s WCW title defense, these fans tuned into RAW as the stage was set for Mankind vs The Rock. Mankind had in fact won the title in what will forever go down as one of the most important title changes in WWF/E history. Vince McMahon looked devasted in this segment. He watched on as Mankind had beaten his handpicked champion in this angle that was taped a few days before. Wherever Vince was watching this on the day it aired, there’s no doubt that he was watching the ratings come in with a huge smile on his face. 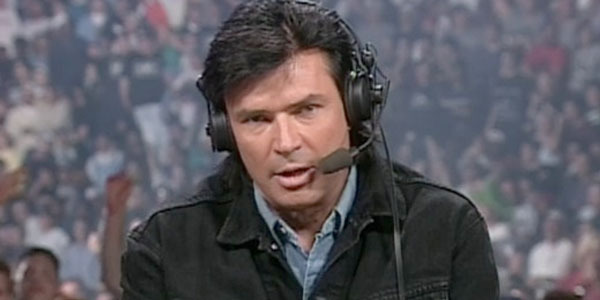 The same can’t be said for Eric Bischoff. He must have been dejected as he heard about what happened. However, the show must go on as the fans would no doubt come back for the WCW World title match. For those that did, they watched on as this Atlanta crowd was ready for a fight. It didn’t feature Goldberg but it did feature Nash and Hogan. This confrontation had been building for months. Nash pushed Hogan to hype up the Hulkster. Hogan was ready to go. He was about to throw a punch when suddenly, he stopped. The clenched fist turned into a pointing motion. He fingerpoked Kevin Nash who fell down in a comical fashion. Hogan made the cover and a new champion was crowned. It was all a ruse! The Wolfpack and nWo Hollywood were working together! What a shocker! Goldberg got screwed! The fans were irate. The nWo, the stable which had led WCW to the top of the wrestling world, was back in full swing. Sadly, the ratings didn’t result in the return to status quo for WCW. Up until Tony’s announcement, WCW had managed to take the lead in that week’s battle with RAW. At the end of the night though, RAW won by 5.7 to 5.0. Never again would Nitro beat RAW in the ratings. It was not the end of the Monday Night Wars but WCW should have prayed that it was. Not only were they only able to crack a 5.0 rating just a few times afterwards, RAW’s audience began to DOUBLE Nitro’s during the year 2000. When I think of WCW, I think of a company that had the potential to blitz the WWF with the backing of Ted Turner. Sadly, this night only proved the theory that the key to WCW’s failures came from within. This entry was posted in WCW, Wrestling Flashback, WWE and tagged eric bischoff, finger poke of doom, Hogan, january 4th 1999, kevin nash, mankind, Monday Night Wars, raw vs nitro, VINCE MCMAHON. Bookmark the permalink.